If you're a big fan of Major Lazer and their 'Apocalypse Soon' EP you should check out some of these similar artists, featuring A-Trak, Duck Sauce and Crookers. Lets start with the co-creator and lead member of the electronic dancehall music project that is 'Major Lazer' - Diplo - who has an impressive solo record too. 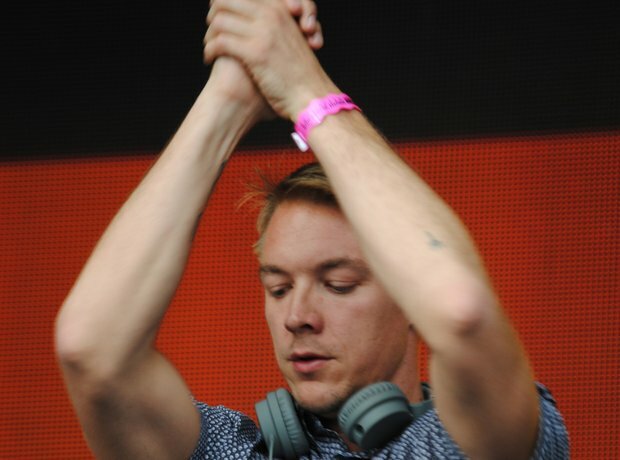 His singles 'Biggie Bounce,' 'Crown' and his recent remix of Beyonce's 'Drunk In Love' are just some of Diplo's best. He might be best known for 2012 viral sensation song 'Harlem Shale' but American trap and bass producer Baauer has been in the game since age 13 and produced some sick remixes for everyone from Nero to The Prodigy to No Doubt. We'll be keeping an eye out to see if Baauer has anything big to offer in 2014. Dilion Francis rose to fame after catching Diplo's attention and has supported Nero, Flux PAvillion and Knife Party - so his sound is one you can bet on enjoying if you're a Major Lazer fan. With eight albums released in just four years and countless remixes under his belt there's plenty of material to get you going. Canadian DJ A-Trak has been in the game since he was just 15 years old and got a big break when he was recruited personally by Kanye West to be his tour DJ back in 2004. Known largely for merging rap with electronic music through his extensive remix work, including with prominent artists such as Bonde do Role, Boys Noize, Simian Mobile Disco, Kanye West, and Digitalism. In early 2014 EDM super-group Duck Sauce's (aka DJ A-Trak and Armand Van Helden) announced a full album entited 'Quack' to be released through A-Trak's Fools Gold Recs. The album features 12 songs by the duo, including 'Barbra Streisand' and previously released singles like 'Its You' and 'Radio Stereo'.